Seems like a great time to renew our individual resolutions for You Don’t Know Jersey. Last year, we posted our resolutions in December and in 2010 we also used pre-New Year’s Eve December to state our first year’s resolutions. This year, we waited until January. Perhaps one of our resolutions should be timeliness! One of my goals is to get my posts up faster. I don’t like to put up a post unless I think that it is perfect. That slows me down and stops me from putting something up that is perfectly fine. I need to figure out what the post needs and if it fills those requirements put it up and then fix it up later if I want. I am planning on making my movie reviews more elaborate with a new format. I have been working on the layout for awhile but haven’t put it into effect yet. It will be more thorough and informative then the current format. Another goal I have in the new year is some posts on the rebuilding of the Jersey Shore. A lot of popular places are going to be different from what we remember and it will be interesting to see how things progress. Since most people only go there during the summertime, the condition and upcoming changes will be a mystery to most of the state. I would also like to edit more videos and get them up on our site and our youtube channel. I want to make photography a bigger part of the site. We had been bouncing around ideas for a website way before we even created You Don’t Know Jersey in May 2010. One of our ideas was a site showcasing the state in pictures. New Jersey is a wonderful state for photographers with an endless array of subjects. I love going to new places with my camera and trying to capture it in images. They say a picture is worth a thousand words. They say that because people love looking at great pictures. I’d like to bring our readers some great shots of our awesome state. I’d like to get more contributors for the site. We have a few folks we can count on who like to check out cool events in New Jersey and report on them. I’d like to get more. Many friends tell me they would love to write for the site. Time to challenge them to actually do it. 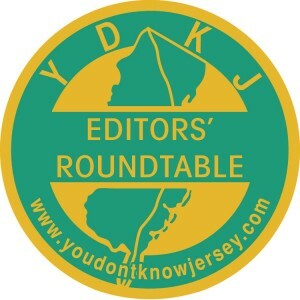 I’d like to make my resolutions for 2013 be focused on using the power of You Don’t Know Jersey for making New Jersey a better place to live. I want to visit and write about non-profits that are doing interesting things around the state. I’m a supporter of The Seeing Eye and the Community FoodBank of New Jersey and I’d like to help smaller non-profits get some recognition. Hurricane Sandy got me thinking about ways that we can get together as a community to help others. I’m a big believer in lots of people giving a little bit of their time and/or money to help in a big way. I want to think of ways I can get people together this year. Speaking of community, I’d really like to get to know our readers better this year. I want to start setting up some group events this year so we can start meeting some of you. Photowalks, meet-ups at a concert or festival, Hot Dog Tour(!! ), who knows what else!